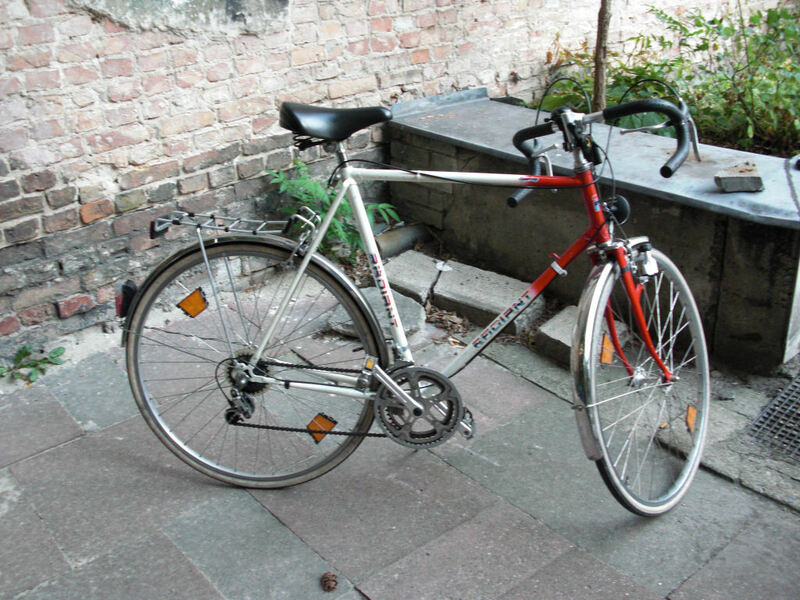 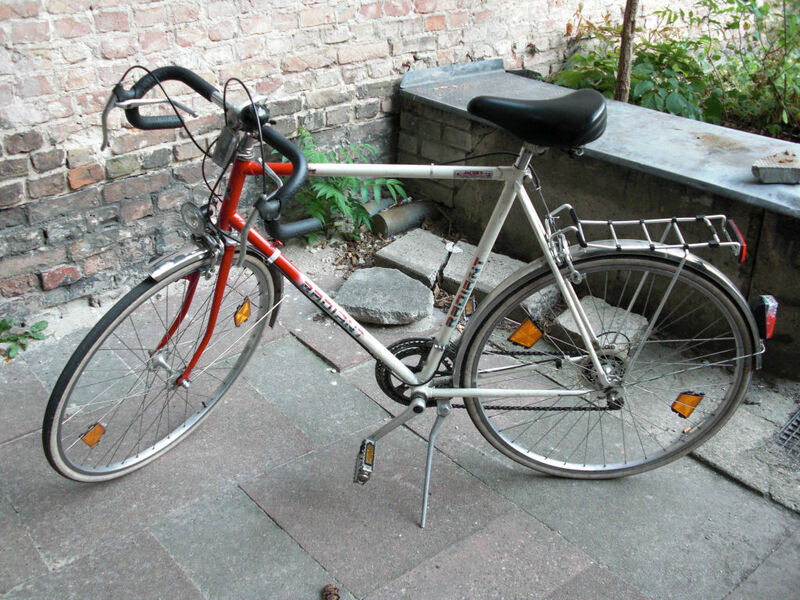 I have purchased this one in August 2009 as a used bicycle in a shop in Berlin, since i’m often in Berlin and also need an “occasional bicycle” there. 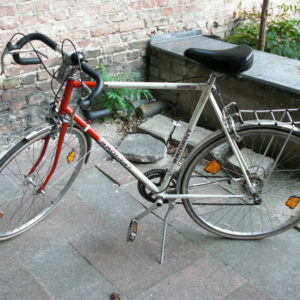 It’s a typical “sports bicycle” of the late 1970ies or beginning of the 1980ies. 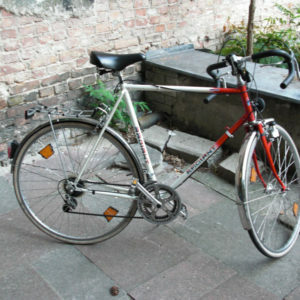 The thing is equipped with a Shimano Positron 12 gear shift, alloy rims, center pull breaks (levers by Weinmann, brakes by “Formos”), lateral upright stand, “real” fenders (made of metal and not plastic) and a light rack by ESGE (with an allowed load of 10 kg according the imprint – nothing, on which one wants to transport larger things, but better than nothing. 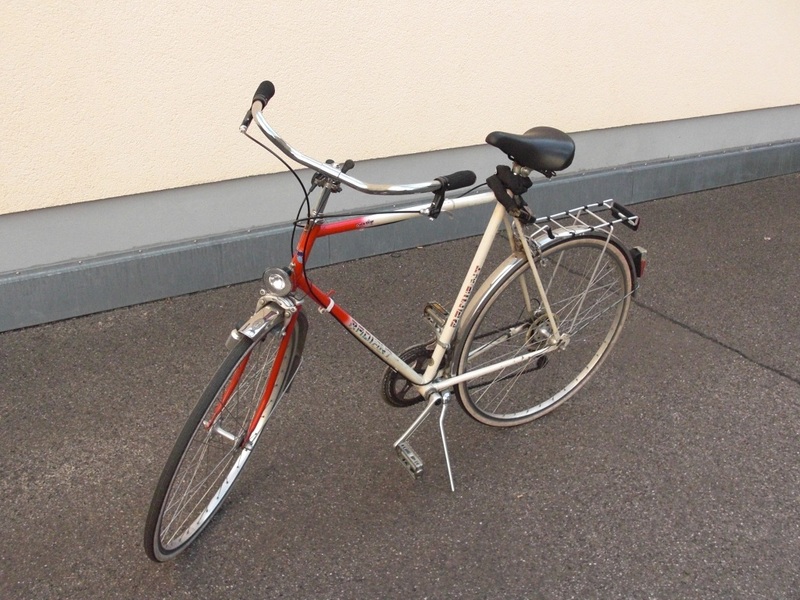 At least a box of Prosecco was no problem ;-)) and a simple lighting system with side wall dynamo. The saddle was obviously added later and possibly the rack as well. 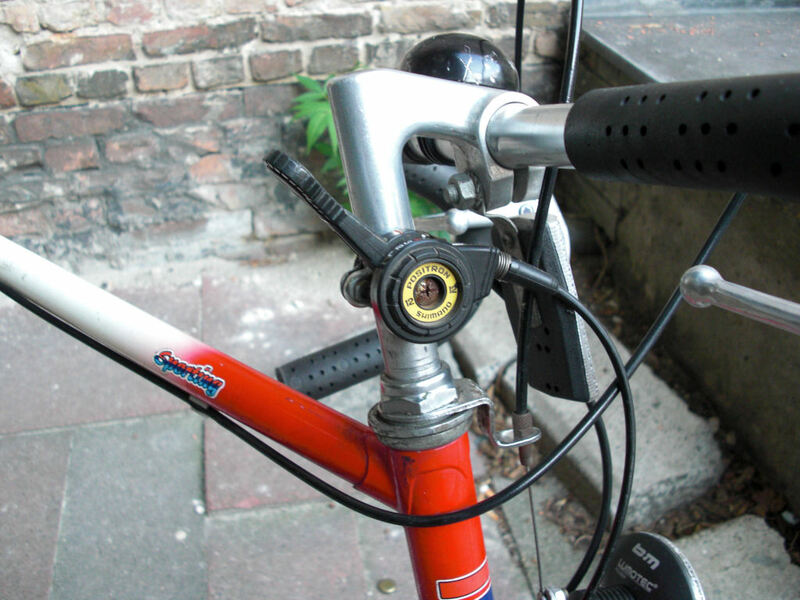 The only modifications so far are a LED tail light and a halogen head light (as a replacement for the simple head light with vacuum bulb and the simple tail light) and a replacement of the brake pads. The configuration is in fact on a quite low level – but the thing is still in a very good condition and also comfortable to drive. 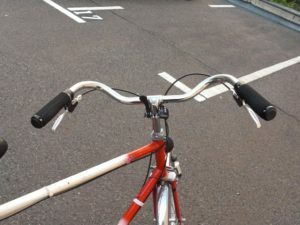 The front reflector was dismounted meanwhile, since it is needless and just bothered me. 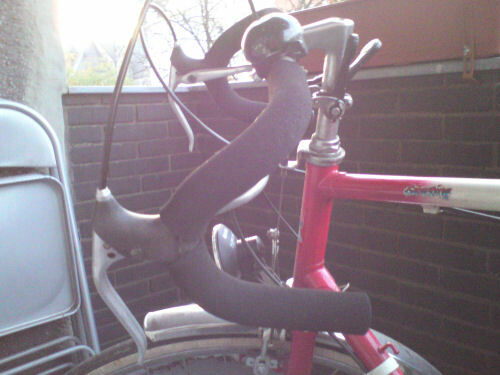 I also replaced the rubber on the handle bar by more comfortable foam grips. 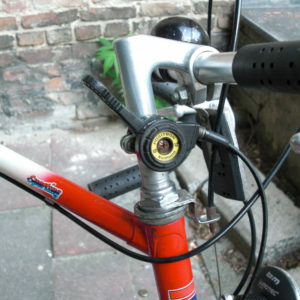 Finally i also replaced the dynamo by a new model, so the light works more reliable.